This study was planned to compare the traditional method of laparoscopic cholecystectomy (LC) versus LC using harmonic as regard the safety and efficacy. 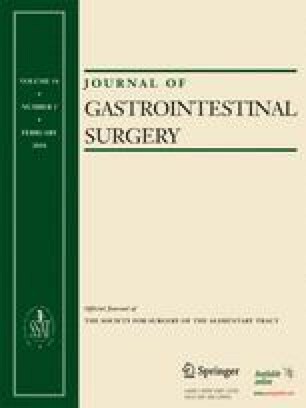 This study included group A (70 patients) in whom LC was conducted using the traditional method (TM) by clipping both cystic duct and artery and dissection of gallbladder from liver bed by diathermy, and group B (70 patients) LC was conducted using harmonic scalpel (HS) closure and division of both cystic duct and artery and dissection of gallbladder from liver bed by HS. The intraoperative and postoperative parameters were collected including duration of operation, postoperative pain, and complications. HS provides a shorter operative duration than TM (33.21 + 9.6 vs. 51.7 + 13.79, respectively, p = 0.001), with a significant less incidence of gallbladder peroration (7.1% vs. 18.6, p = 0.04) and less rate of conversion to open cholecystectomy but not reach a statistical significance. The amount of postoperative drainage is significantly less in HS (29 + 30 vs. 47.7 + 31, p = 0.001). No postoperative bile leak was encountered in HS, but it occurred in 2.9% of patients in TM. VAS in HS at 12 h postoperative was 3.25 + 1.84 vs 5.01 + 1.2 (p = 0.001) and at 24 h postoperative was 3.12 + 1.64 vs. 4.48 + 1.89 (p = 0.001). HS provides a complete hemobiliary stasis and is a safe alternative to stander clip of cystic duct and artery. It provides a shorter operative duration, less incidence of gallbladder perforation, less postoperative pain, and less rate of conversion to open cholecystectomy. Tharwat Kandil, Ayman M El Nakeeb, and Emad El Hefnawy wrote the paper. Tharwat Kandil, Ayman M El Nakeeb, and Emad El Hefnawy designed research. Tharwat Kandil, Ayman M El Nakeeb, and Emad El Hefnawy performed research. Tharwat Kandil, Ayman M El Nakeeb, and Emad El Hefnawy analyzed data.